The glory of any wedding depends upon three major factors- venues, décor and food. 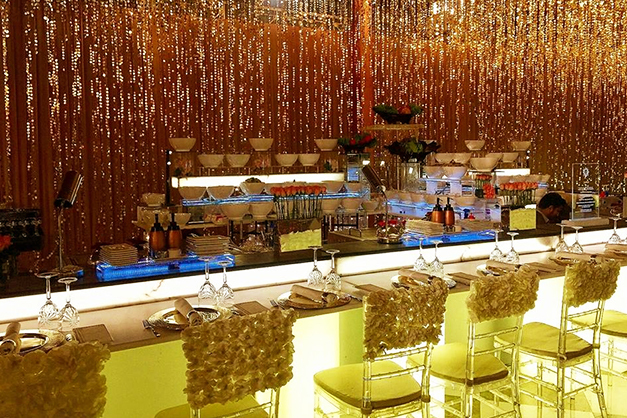 The wedding venues in Delhi as well as décor go hand in hand. After their finalization, there comes the food, which has the ability to cast a strong impression on the tongues as well as the minds of the guests. The catering at the weddings is mainly the real hero of the whole event. When it comes to catering, one can choose a formal sit-down service or buffet. 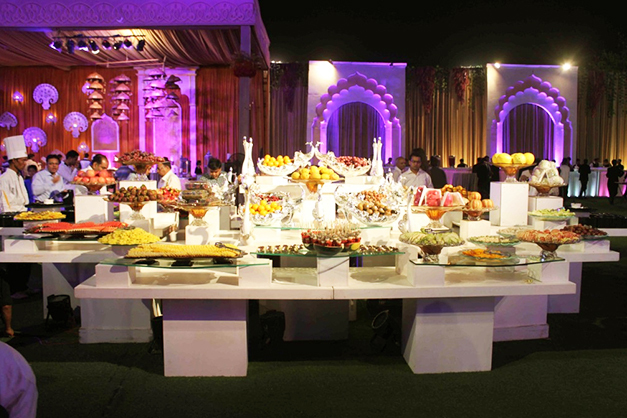 We have listed some of the best catering services in Delhi NCR in no particular ranking, which will surely make your wedding a magical moment. Food Art Hospitality Pvt. Ltd. They specialize in providing top notch services and culinary excellence for a large number of events such as weddings, corporate events and various other special occasions. Their exquisite food, world class presentation as well as discreet attention to their services have made them the best amongst the rest. PC: Food Art Hospitality Pvt. 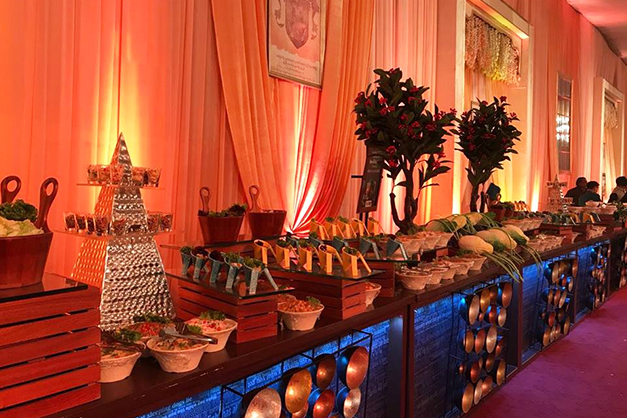 Ltd.
Food Inc. is a Delhi-based catering services company that is known for creating a world of delectable flavors as well as tempting presentations. They offer the best of their catering services for all kinds of occasions and events. It is one of the leading companies to offer premium services that reflect the expectations of their clients. Eleven Course is known for their extensive experience as well as their wide range of food and cocktails. 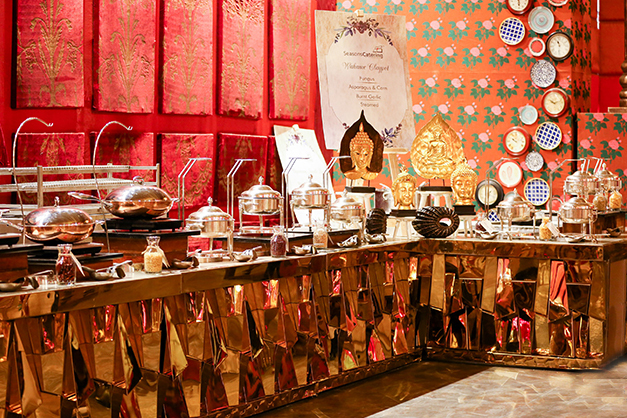 Their dedicated team helps the couples to customize a unique menu as per their specifications. They are also known for creating traditional dishes with a modern and creative twist. Creative Cuisines Inc. which is popularly known as CCI is known for satisfying the culinary cravings of the elite. 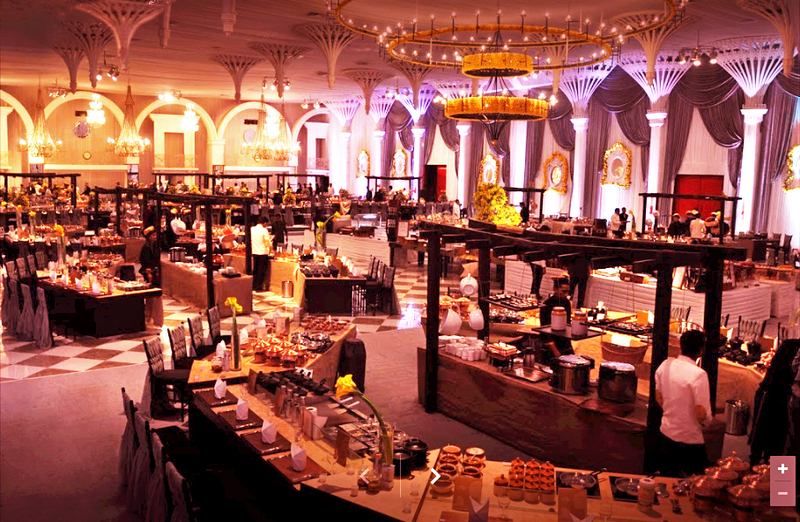 They offer the mesmerizing taste as well as innovative cuisines for your special occasions and events. They add a personal touch to the services to offer the best to the guests. PC: CCi- Creative Cuisine Inc. 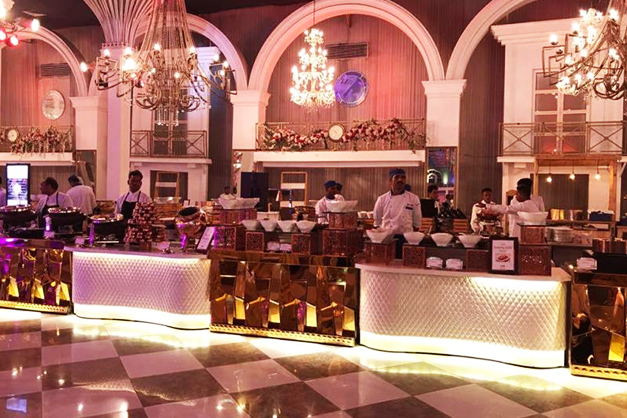 Seasons Kitchen offers an amalgamation of Indian and international cuisines served with spectacular presentations. They offer the best of their catering services for all kinds of occasions and events. 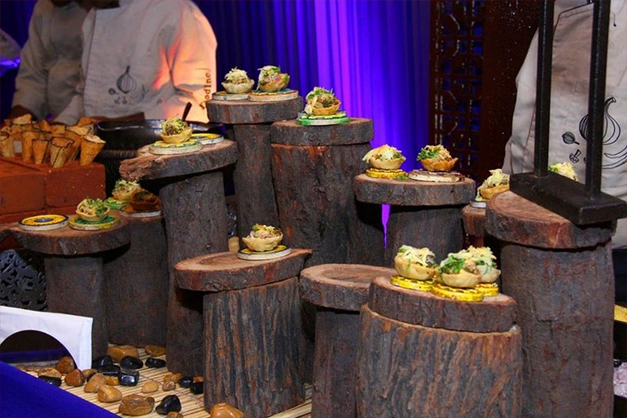 The Kitchen Art Co. is a catering company that possesses the excellence in meeting all the gastronomical requirements. They serve fine course meals at all kinds of events including corporate meetings, weddings all other types of celebrations. One can totally count on them for all their special culinary requirements. PC: The Kitchen Art Co. Seven Seas Catering is renowned for offering a world of artistic culinary experience crafted with the undulating passion for perfection. They take great pride in offering wide panorama of gourmet cuisine for delightful weddings and signature corporate events. Pro tip: Always look for a caterer that provide some level of built-in flexibility to adapt these menus to your specific needs by substituting specific items and/or customizing others. Also read: What role does a wedding photographer plays in Indian Weddings? 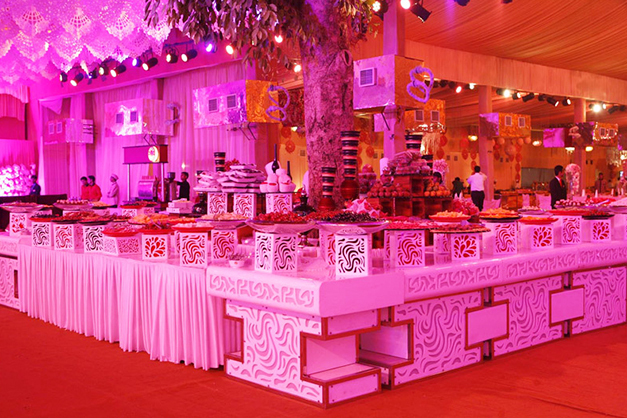 The glory of any wedding depends upon three major factors- venues, décor and food. The wedding venues as well as décor go hand in hand. After their finalization, there comes the food, which has the ability to cast a strong impression on the tongues as well as the minds of the guests. The catering at the weddings is mainly the real hero of the whole event. When it comes to catering, one can choose a formal sit-down service or buffet.